Many thanks to Ryan of Masada College in Sydney, Australia who provided most of the resources in this section of the course and gave me permission to use them here. Objective: To find out where Yellowstone National Park is and to discover the hidden dangers that lies beneath. Use the Google Map to the right to help you. Task 2 - Research 'Old Faithful Geyser' in the Park. What is it and how does it work? Check out the two videos below to get you started. Task 3 - Google research the 'Sulphur Caldron' in Yellowstone. Why wouldn't you take a dip there? 2. What makes a supervolcano different to a 'normal' volcano? 3. 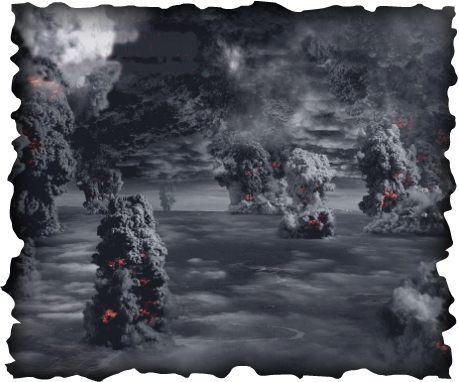 Find out about the most recent supervolcanic eruption by clicking here. Objective: To work with a partner to devise a FEMA Supervolcano management plan in the event of a Yellowstone eruption. Reminder - So, you have watched the video and seen the possible effects. You have studied the PowerPoint presentation carefully and discovered the cause of the enormous caldera underneath Yellowstone National Park. 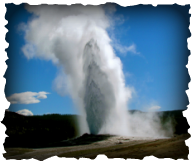 Backgound Task 1 - Complete this sheet by trying to predict what effects a supervolcanic eruption would have on Yellowstone and the environment. For Task 1- Download this map of the craters and this map of the area that would be affected by the eruption of the Yellowstone Supervolcano. Also check out this 3D visualization of what's going on under Yellowstone! For Task 3 (America's relationship with other countries) - For USA travel advice, click here to see a list of countries that the US government advises that its citizens avoids. Getting Started - Spend 15 minutes deciding who is doing what in your pair and make sure that you understand the task fully. Then, start the tasks that are set out on the second slide of the resource in Background Task 3 as well as the main PowerPoint. Grading and Peer Assessment - Click here to download the mark scheme for the Super Volcano project. Students will peer assess each other's work and provide written feedback to the other groups. Additional Research - Watch the first documentary underneath and take notes on the likely impacts and strategies that can be taken to minimise these impacts. Example 1 from GS and OR - Apply the mark grid about to this piece of work. Example 2 from Obvb and OB - Do the same as above.